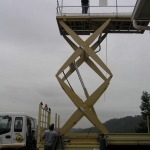 The deck rotates 90 degrees. 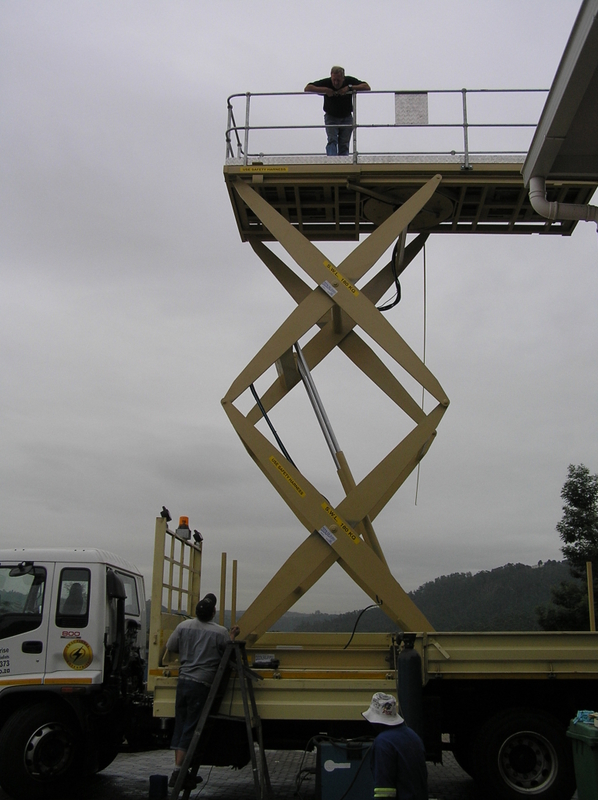 The ends of the deck extend telescopically. 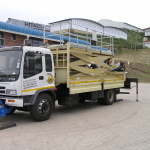 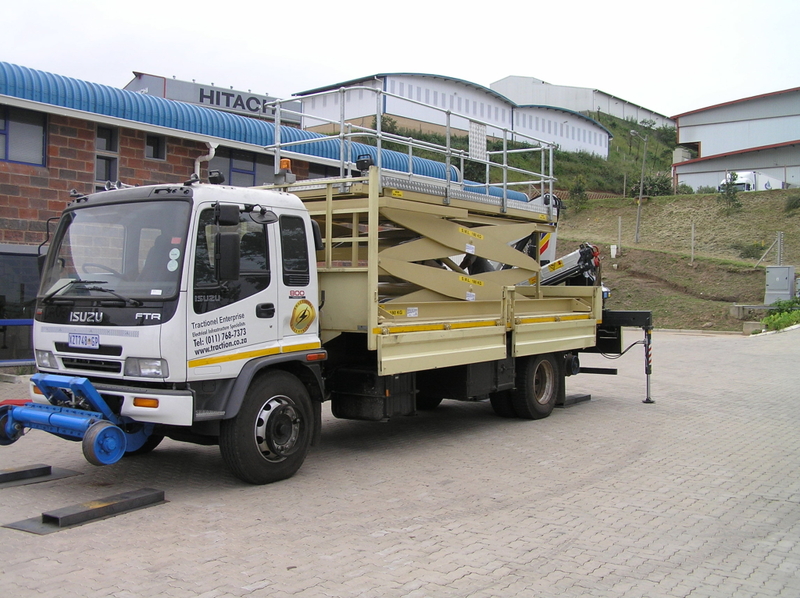 The hydraulics are driven by the trucks PTO. 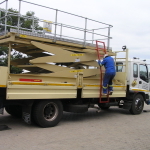 The electrics are powered by the trucks battery. 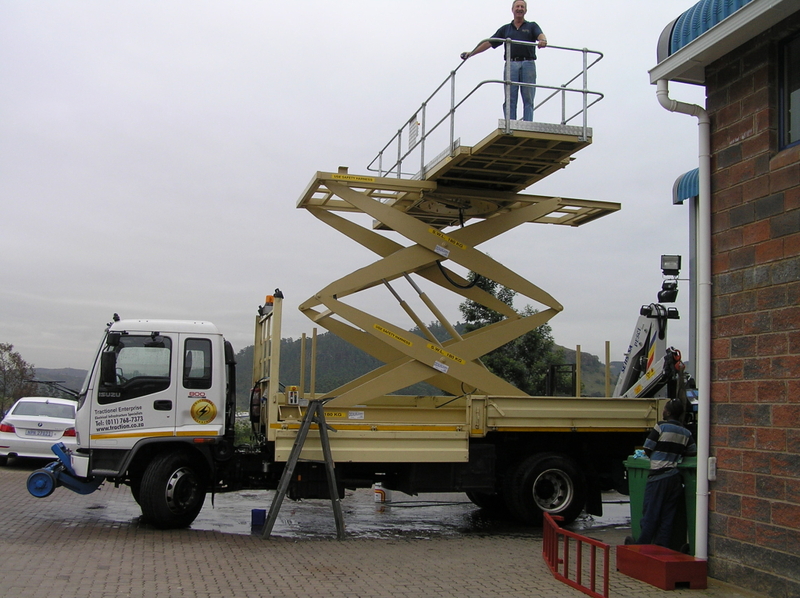 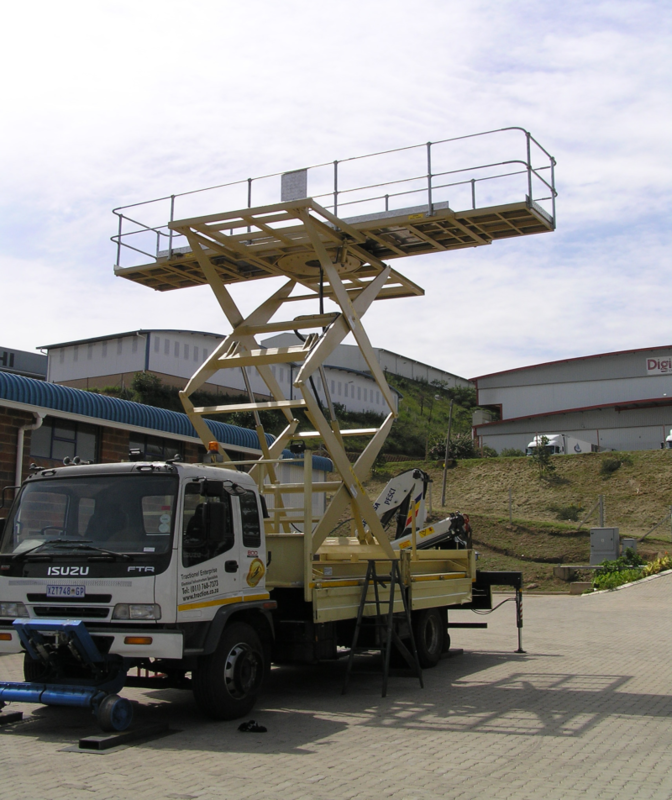 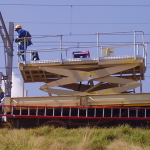 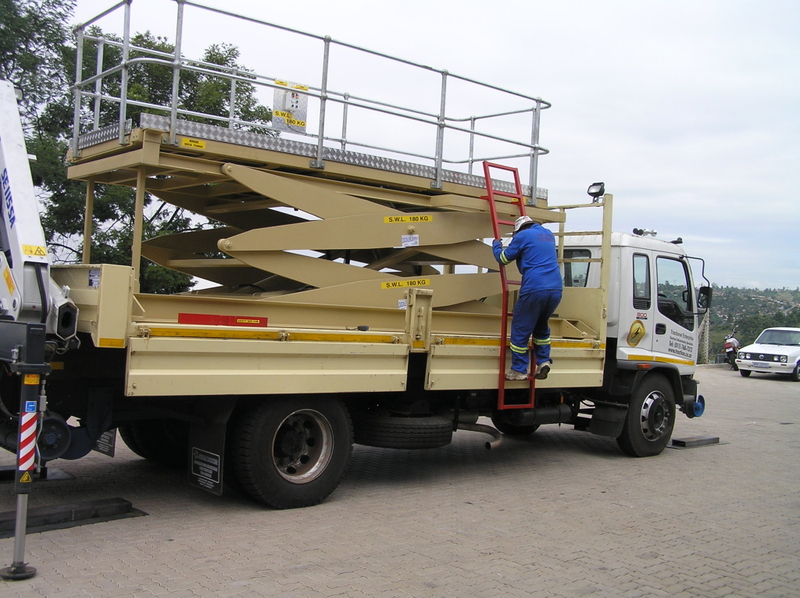 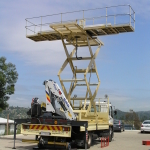 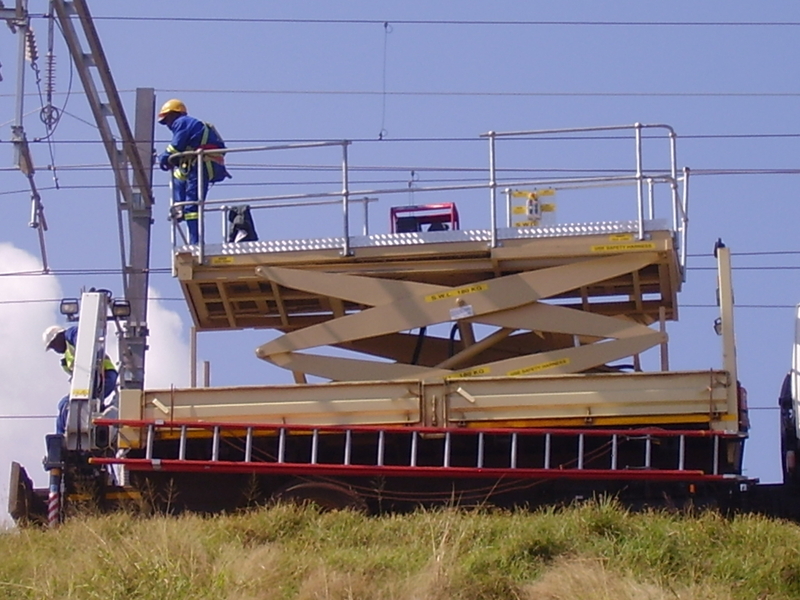 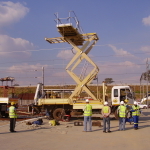 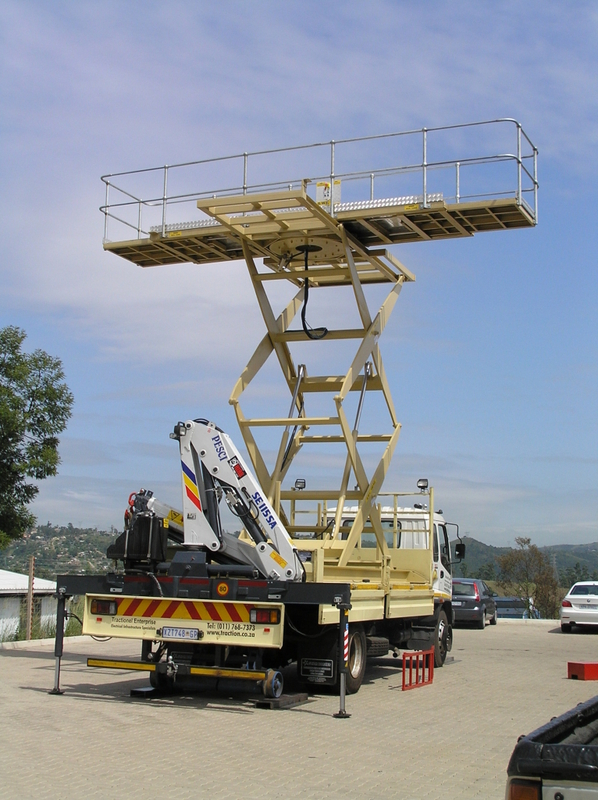 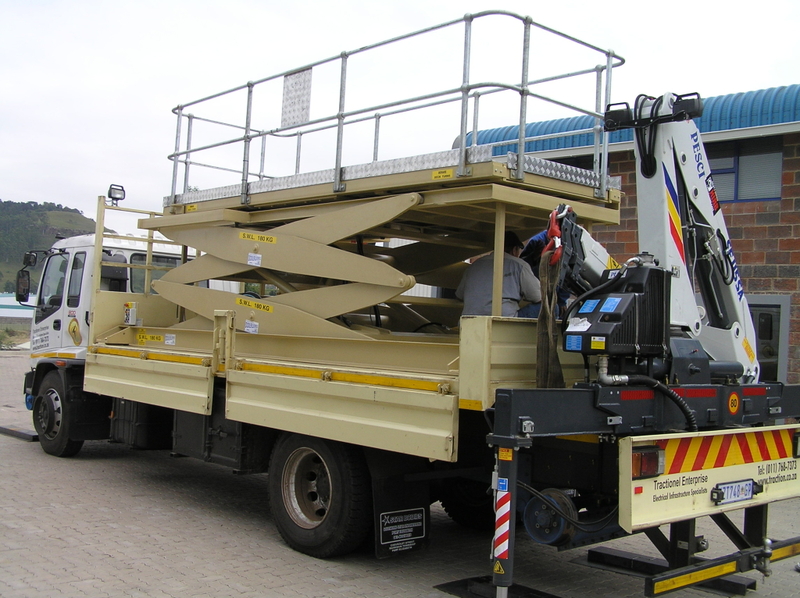 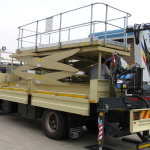 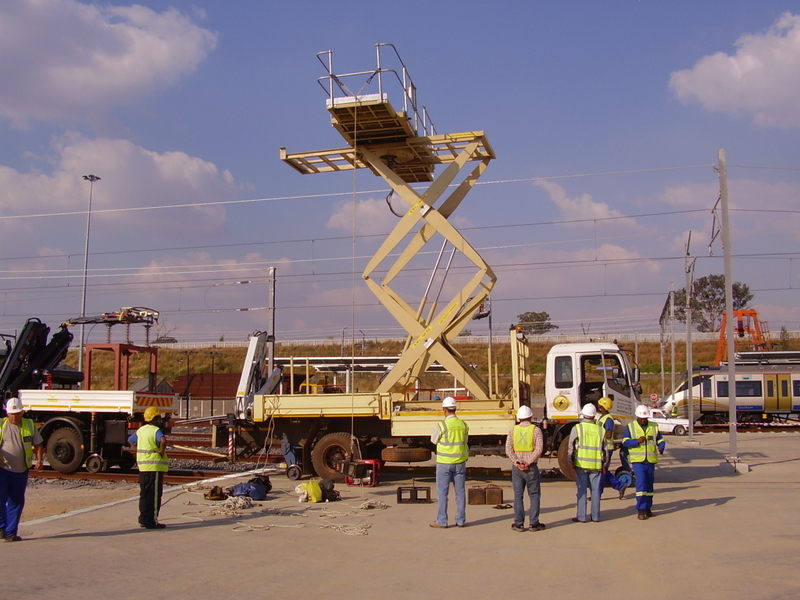 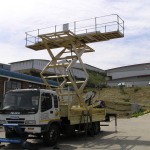 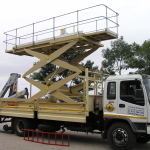 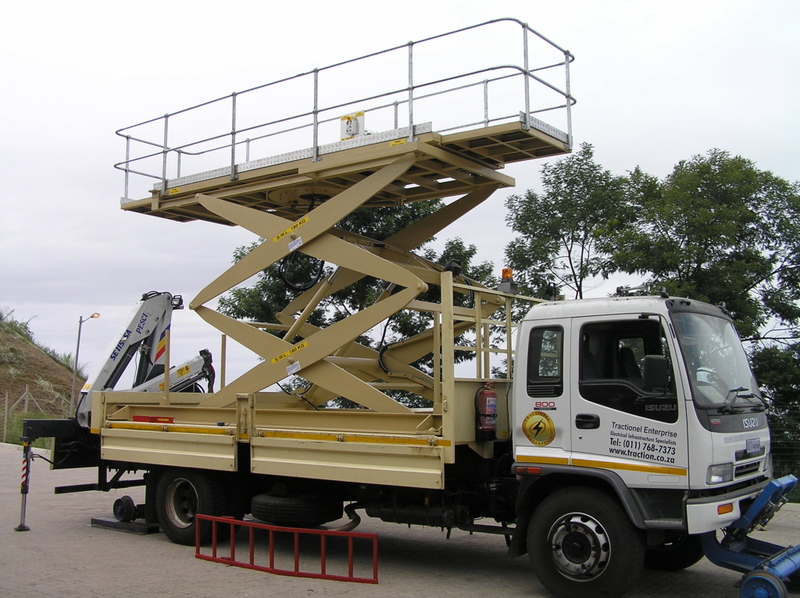 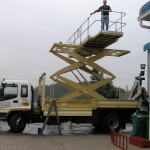 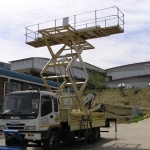 The Scissor lift is detachable from the truck.